CUSTOM AWNINGS FOR YOUR BUSINESS. 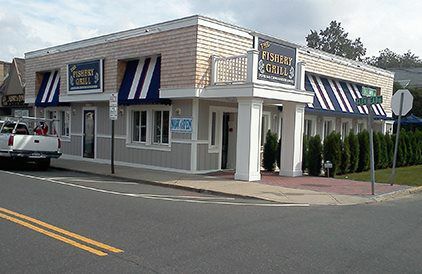 Commercial Awnings are a great way to enhance the look of your building and stand out when people are passing by. We have been designing all types of awnings for business owners for years. We know the industry and can help with all permits and installations. We offer a variety of options from size, shape, color, lettering, and material.